Hey, it’s me, Emily. 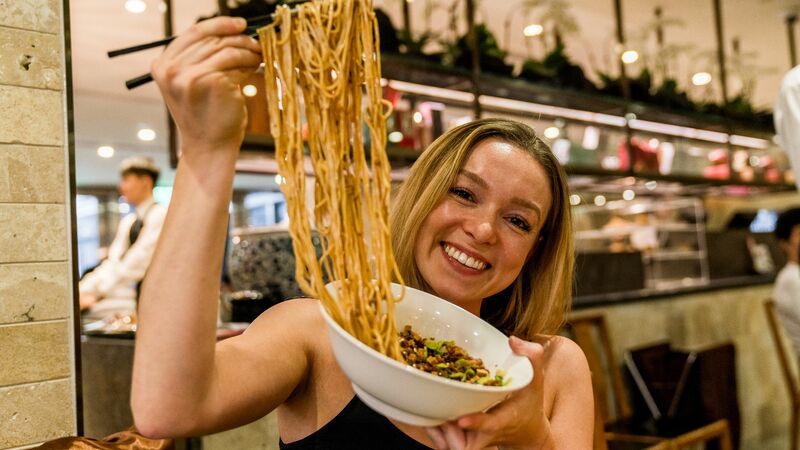 The girl who calls herself the “noodle queen” and eats dumplings approximately five times per week. I have a deep, dark confession to make: until last month, I had never been to Asia. 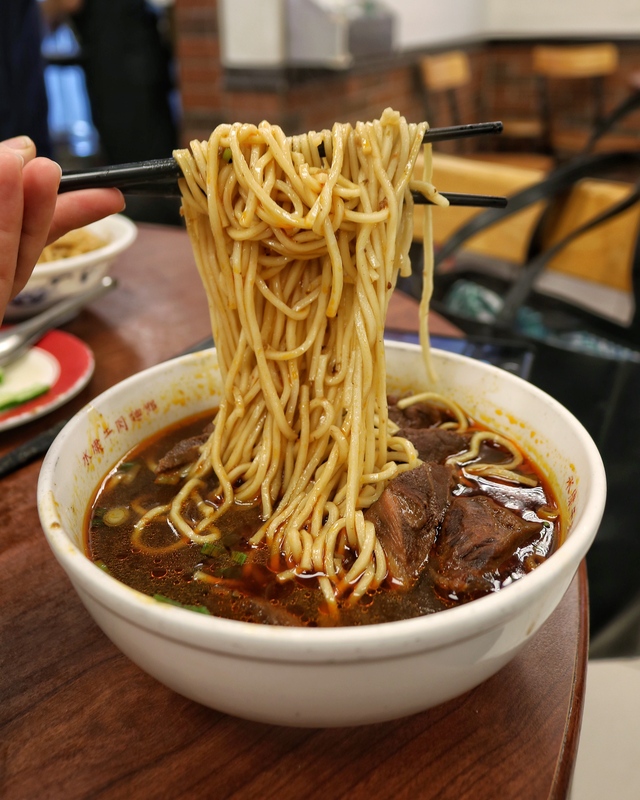 That’s right—the continent responsible for all my greatest food obsessions had been nothing more than a mythical idea inside my noodle-filled head until October, when I traversed the Pacific with Journy and landed myself in none other than Taipei, Taiwan. Completely different and also amazing, the beef noodle soup at Yong Kang is one that I won’t soon forget. The broth was dark and rich with a depth of flavor that could only be achieved by hours and hours of patient simmering. The noodles were thinner and not hand-made but still had a perfect bite. In both cases, the beef noodle soup was best accompanied by Taiwan Beer and good company. We were hungover. And we were tired, because, let’s be real: if you’re not hungover and/or tired for the majority of a trip, did you really do it right? But we were determined. At Chen Ji people queue up for the pork vermicelli noodles with tiny oysters. This soup is more like a thick stew, and what shocked me most about this dish was how delicate it was. No part of it’s description (oyster vermicelli with pig intestine) screams “subtle.” But the oysters aren’t briny or overpowering; they’re delicate and sweet. 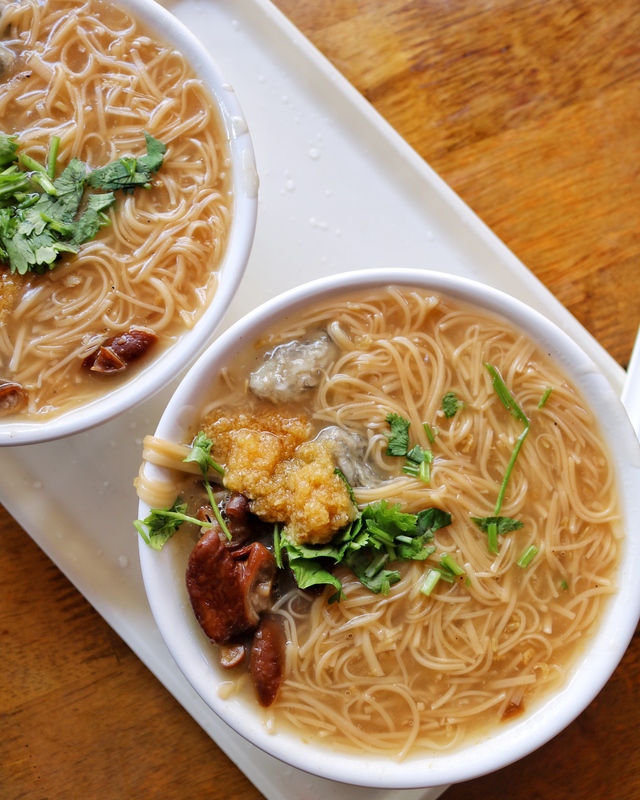 The pig intestine adds more tender chewiness than it does extreme flavor, and the thin wisps of vermicelli along with the silky, thick soup make for a deeply satisfying textural experience. Din Tai Fung originated in Taipei and serves up some of the best soup dumplings I’ve tasted in my humble, dumpling-filled life. 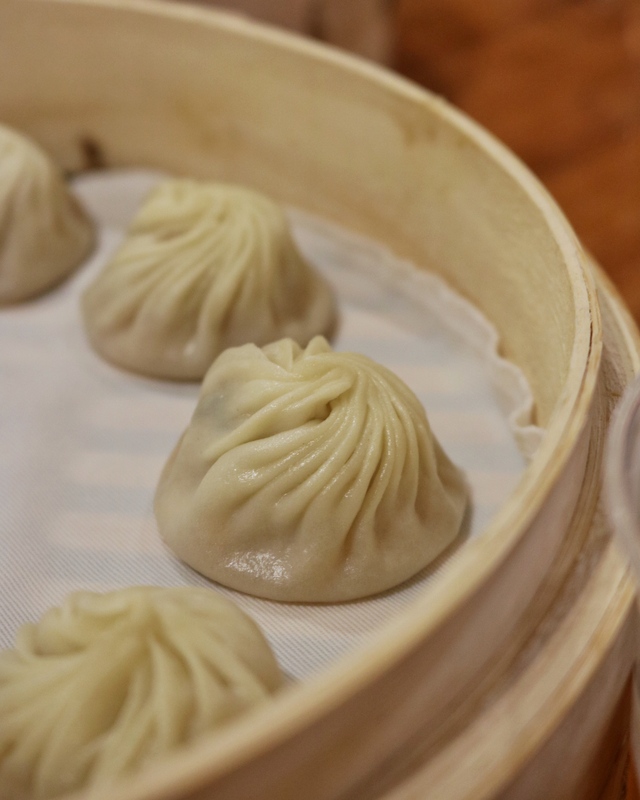 I’m sure you’ve had soup dumplings before, but lemme tell you something: The xiao long bao at Din Tai Fung are basically art. Each dumpling is made with exactly 5 grams of dough, 16 grams of filling and 18 perfect pleats. 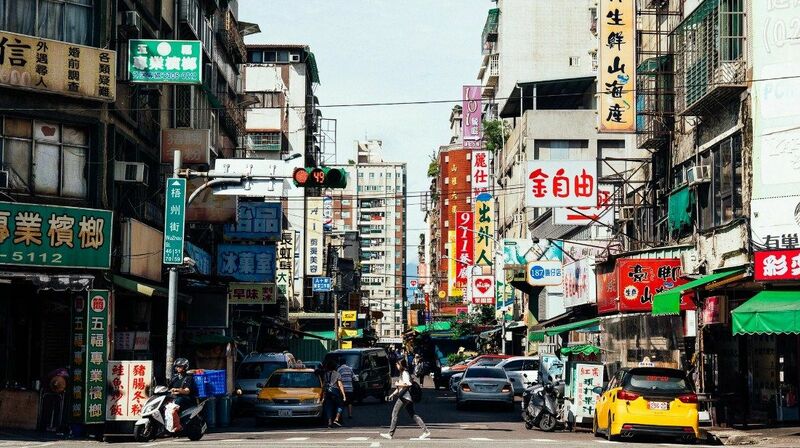 When we landed in Taiwan after about 20 hours of travel, I was jetlagged and starving: the optimal state for entering a country where eating is a major hobby. All travel ails were cured after that first bite of juicy xiao long bao, the thin dumpling skin just barely carrying the weight of the rich soup inside it. The vinegar sauce with ginger set off the meaty pork perfectly. Don’t sleep on the chili oil wontons, either. At Red Lantern in Yilan, cherry roast duck is the star of the show. 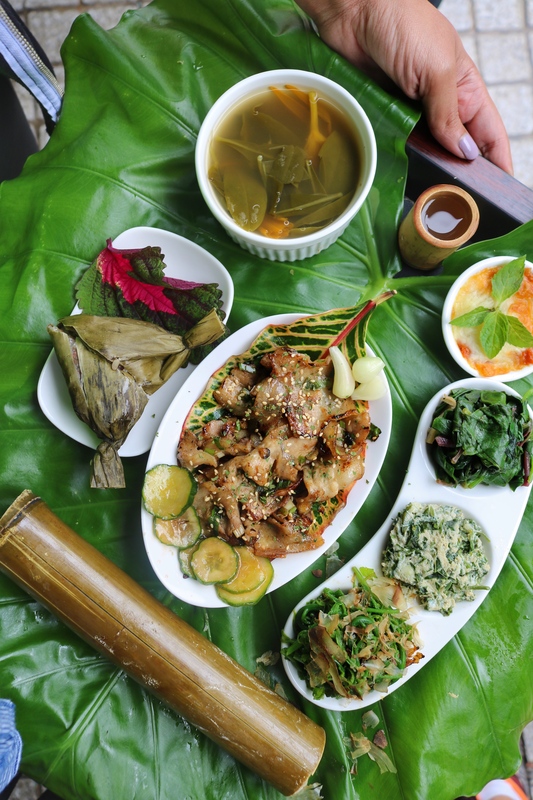 The entire glistening bird is carved tableside, its various parts utilized in dishes ranging from stuffed scallion pancake and three-cup duck to a hearty soup made from the leftover bones. But one bite stood slightly above the rest: a roasted duck “nigiri.” In this rendition of ‘sushi,’ crispy duck skin takes the place of fish. The skin is sweet and bursts with flavorful, hot juicy fat the second it enters your mouth, coating the rice it surrounds and sending your mouth into a state of euphoria. Moment of silence, please. Ning Xia Night Market is a food playground, and I am an avid jungle gym-rat. The idea that a culture is so obsessed with food that there are giant markets with dozens if not hundreds of food stalls open all night long awaiting the hungry masses is extremely appealing to me. Even more appealing is the fact that at Ning Xia, many of the vendors are considered the best at their particular specialties. We started our jaunt through the night market with some goose noodle soup—a richer, more complex version of the homey chicken noodle soup I grew up with. Journy tipped me off to do as the locals do and request a side of chopped up goose head to go with the noodle soup, the brain being the most coveted part. I went for it (first time tasting goose brain! ), and I recommend you do, too. Important to note: this entire market is ripe with the smell of stinky tofu. What does that smell like? Try to imagine a very dirty subway station ripe with the scent of human urine. However, don’t judge a food by its smell: stinky tofu is actually delicious, the scent more powerful than the flavor. When deep-fried, it’s pleasantly spongy, a little bit funky and kind of addictive. 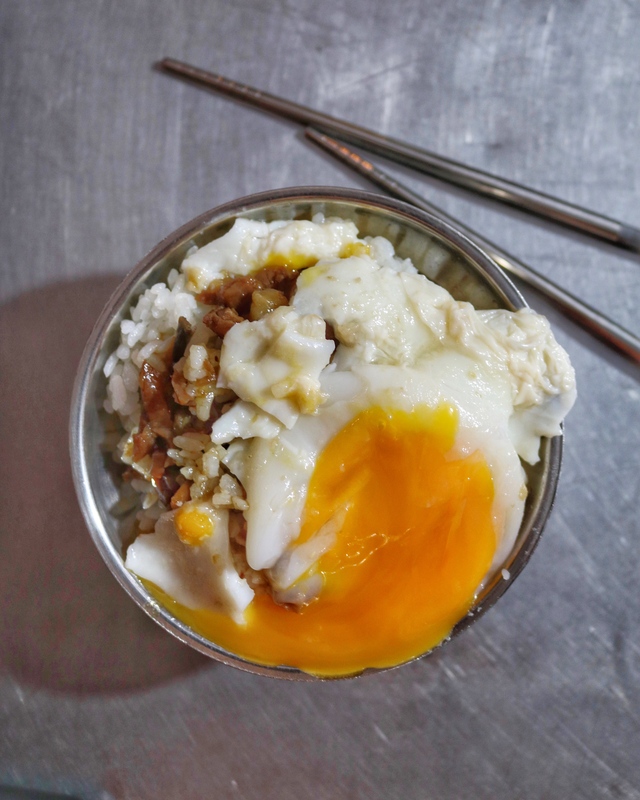 Another must at this market: The lu rou fan (minced pork rice) with duck egg yolk. Wash it down with a cold Taiwan Beer. Truku, located nearby the natural wonder that is Taroko Gorge, is more like a home than it is a restaurant. Dining at Truku is akin to having lunch at a family friend’s home—grab a seat at the table and wait for lunch to be served while the mom-and-pop (literally) team bustles in the kitchen, their toddler playing at your feet. 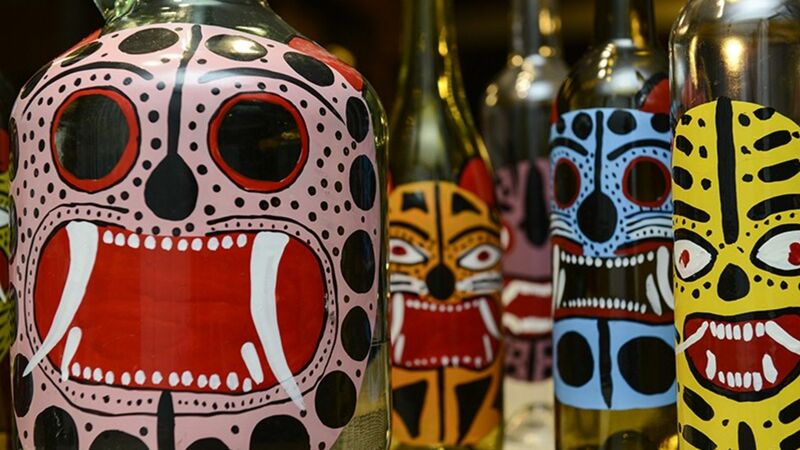 The restaurant is named for the aboriginal tribe that occupies the area and serves food that utilizes its unique ingredients, prepared by indigenous cooking methods. And yes, the food is delicious but more than that, Truku is transportive. 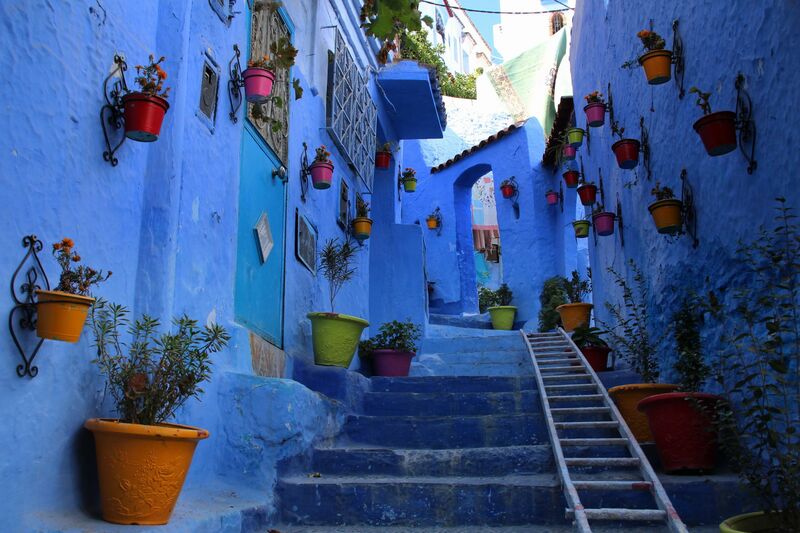 It took me to another time, another life, another place where no one is in a hurry and everybody is family. I loved the wild boar, roast quail, century egg with tofu and roe and sweet sausage and sticky rice in bamboo. Yong He soy milk is one of those places that exists to right the wrongs. You’re hungry? Awesome. It’s late and you don’t want to go to another bar, but you don’t want to go home just yet? Great. 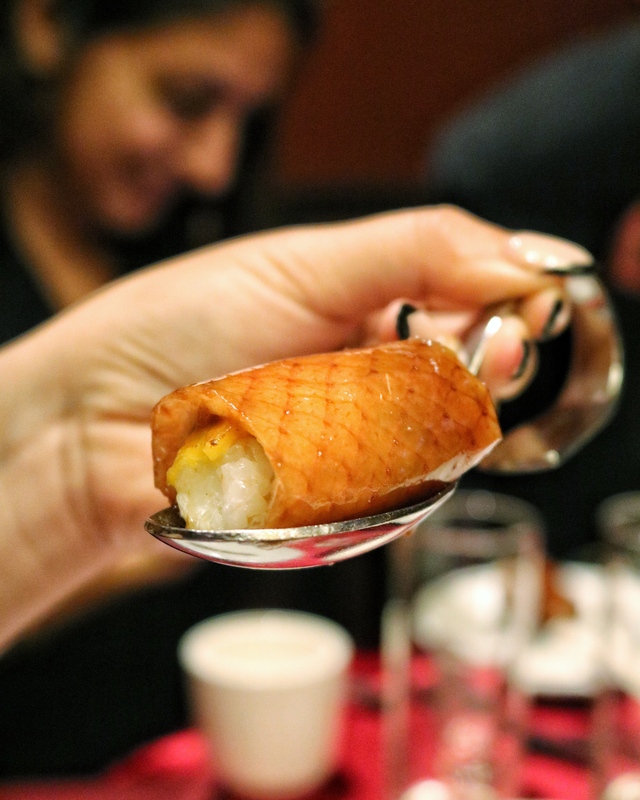 You want some soup dumplings but could also go for an egg crepe with pork floss? Perfect. The food is great, and at 4am, so is the people watching.